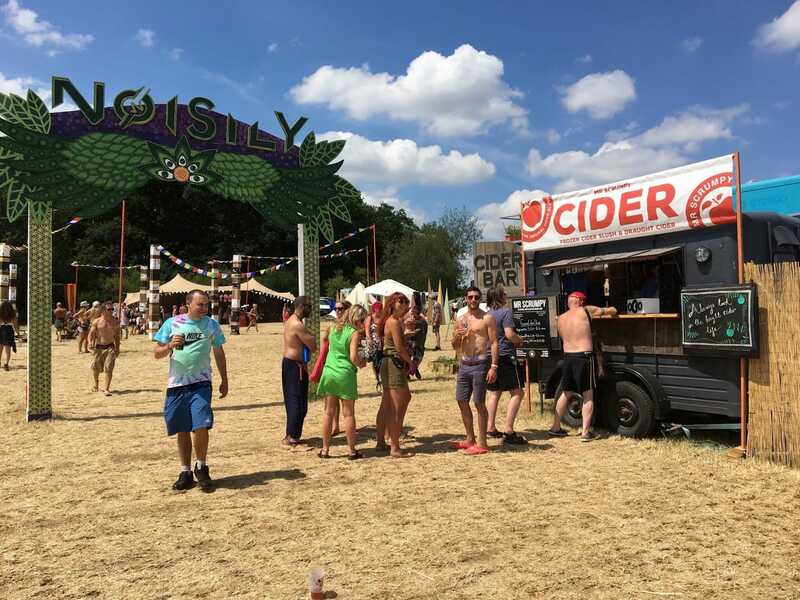 Mr Scrumpy: join the cider revolution! 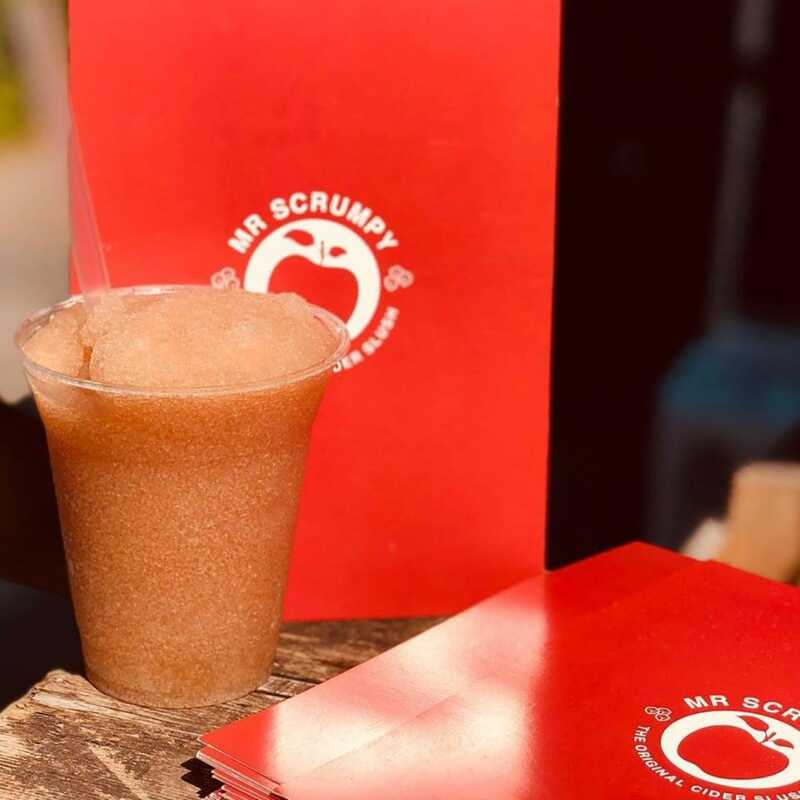 When and where was Mr Scrumpy created? In autumn 2016 I was living in the warehouse community in Hackney Wick. Tobi and I sat down to discuss my idea of creating a frozen cider slush drink made from real, craft English ciders. We went on a road trip to get some cider samples, which we trialled out as the slush at a warehouse party at my old place. It wasn’t exactly prime cider slush weather at the time, but people were still all over it. Although it went down well, it still wasn’t quite what we had in mind, so we hit the drawing board and the road again. This time we researched 10 different Somerset cider producers and got samples from each. We put all of them through a roy slushy machine that we picked up online for £20 and none of them produced the flavour we wanted. We sort of freaked out at this point and thought the idea wasn’t going to work. Finally, we tried a cider that we accidentally came across on our road trip and it was the one! By this point we were a bit tipsy and incredibly stoked. We went back, talked to the producer and he’s been supplying us every since. What gave you the idea to make cider slushies? I was sat in a pub garden on a hot summer’s day whilst I was at uni and had a pint of cider in my hand, which had a layer of ice on the top made by pushing the tap forward a bit too much. I wondered why there wasn’t a whole drink like that and why it wasn’t being sold at music festivals. What did you do for work before Mr Scrumpy? Before Mr Scrumpy came about, I spent 5 years in the charity sector, working in community and challenge fundraising for humanitarian NGOs. Tobi is a work horse and still works in property management for his old man. Was it easy to create your brand? If our brand was a website it would have ‘still under construction’ on its homepage. Talking websites, get ours sorted Tobi! We want the drinks to speak for themselves and to continue trading at strong events and get the chance to trade at bigger ones. 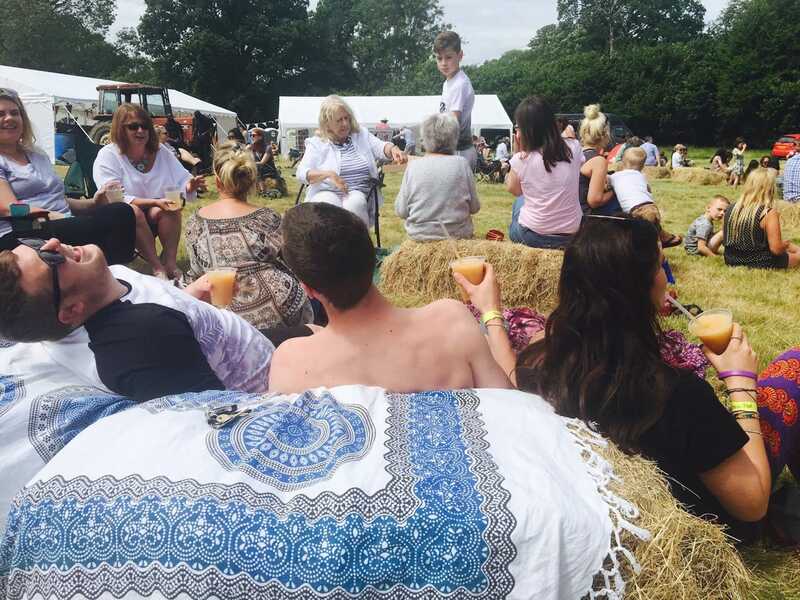 We see ourselves as a festival brand - festivals are very much a huge part of our lives and it’s where we know the drinks are best suited. We recently traded at the ridiculously amazing Noisily festival. They were the first proper music festival to invite us to trade and our slush went down so well! We had amazing feedback, loads of return customers and have been invited back next year. We already can’t wait. What are the 3 most important business values of Mr Scrumpy? We always pay anyone who does anything for us. Be it designing our logos and print materials (yes George! ), taking amazing photos (yes Emma! ), or helping on the bar. We’ve done that from day one and will always do it, whether we’re working on a tiny event of a hundred people, or at a festival of 50,000. We think it’s important that new businesses take this stand, even when money is tight. Too many people are expected to work for free in return for a ticket or to gain ‘experience’ and it’s not on in the world we live in. We want to promote English cider as the incredible drink that it is. For us, craft beer has been around for ages and it’s getting a bit stale. 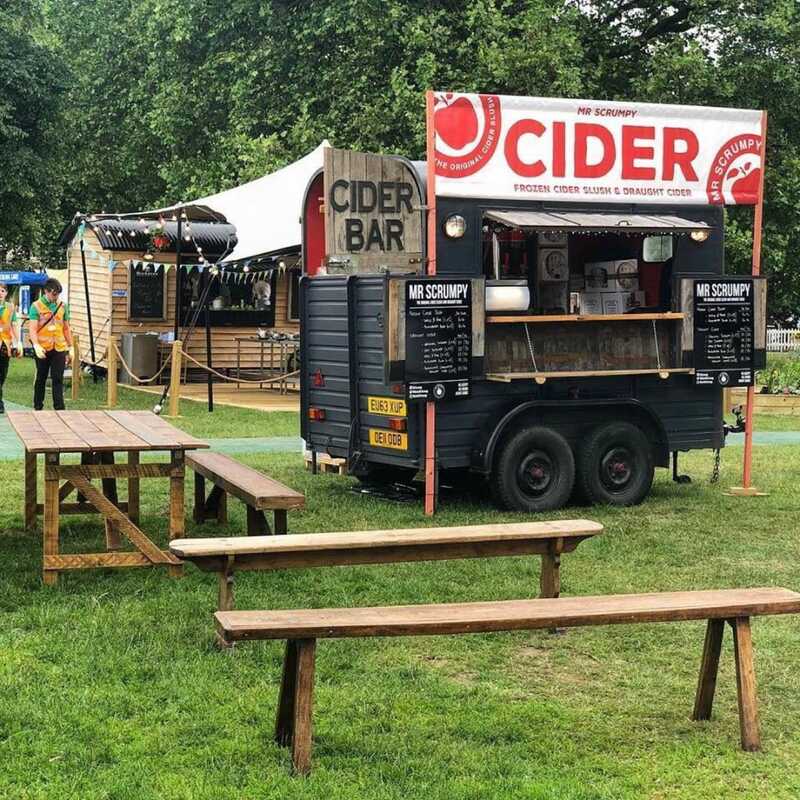 Real cider has all the hallmarks that have made craft beer the biggest drinks trend of our generation; small scale production, quality ingredients, and heritage and history built into its production. We are fiercely independent. We wouldn’t rule out working with large companies, but we know our vision and when it may be in danger of being diluted. What has been the highlight of your venture so far? Event-wise the highlight has definitely been Noisily festival. It was like seeing the original idea I had in my head playing out in front of me. Every time we have someone saying ‘I’ve never seen this before and it’s amazing’ is just great. Can you tell us a little bit about your cider menu? 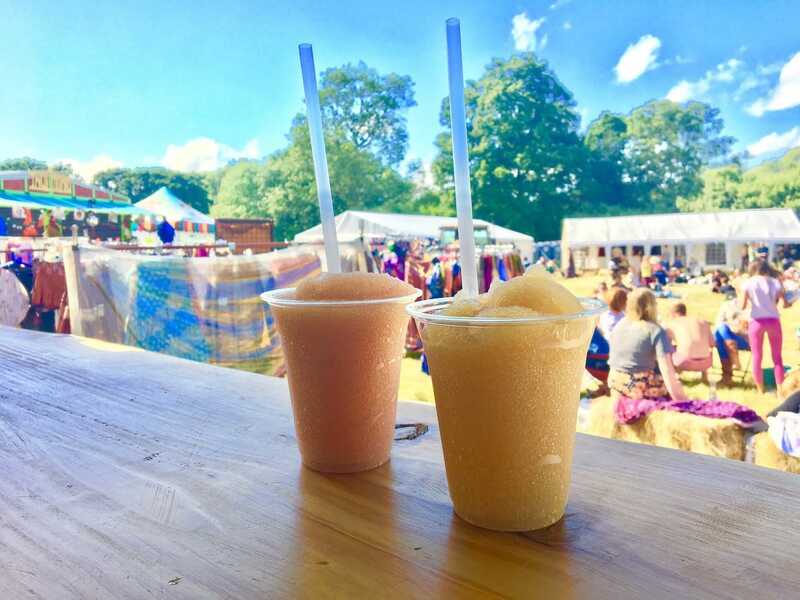 We've got two flavours of frozen cider slush - Apples & Pears, which is 5% and a straight up apple cider flavour, and Blackberry Blush, which is 4% and more fruity! They both retain that real cider kick because we don’t add anything to them, so if you’re looking for a cup of sugar, you’re better off getting one of those bottled ciders! We also stock 4 varieties of amazing still ciders, 1 gorgeous sparkling cider, and sometimes even a Kernel pale ale, which is by far the best pale ale in Britain. Tobi will kill me for telling you this, but he’s pretty much a meat and two veg kind of guy. He loves a classic ham, egg and chips, but at least he knows a great cider! For me, it has to be Vietnamese, Thai or Mexican. A big thank you to Ash for letting us behind the scenes of Mr Scrumpy! Having a festival-themed wedding in the countryside? 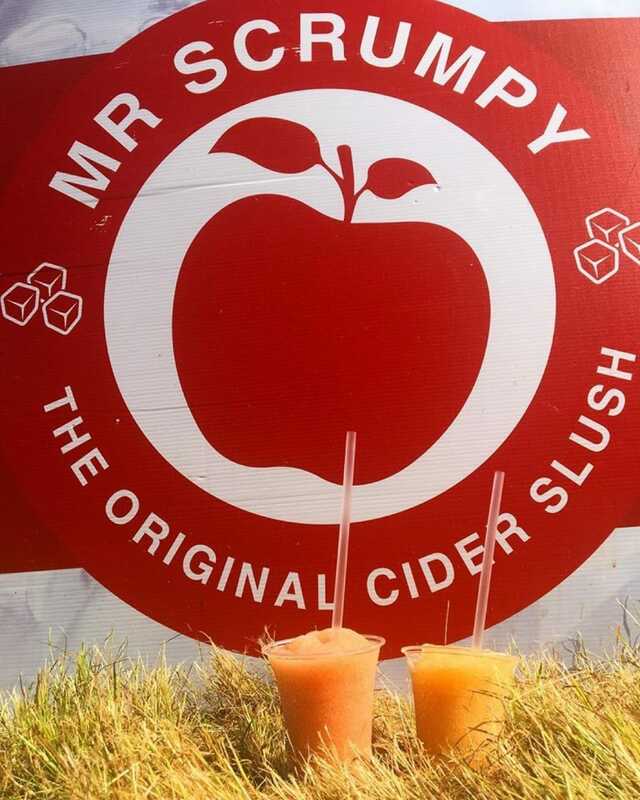 Book Mr Scrumpy today before they get snapped up, to create the ultimate happy festival vibe on your special day. If you’ve got an event coming up but you’re not quite sure what you’re after, fill out our simple enquiry form to get started!